I don’t have the details on when and where he took this photo. 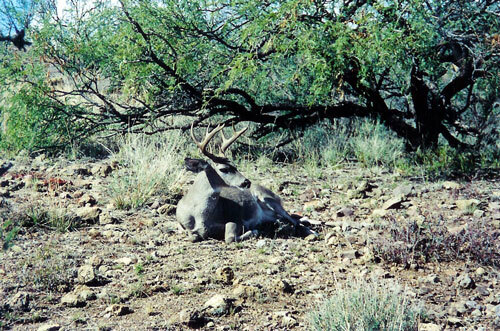 But he was able to get this photo because they had already shot this buck. They went up to him to finish him off and snapped this photo first. If you look closely you can see blood on the rocks on the left side of the photo behind the deer.